Christopher Smith, a prominent figure in the British wine trade and Member of Parliament, who was later to become Lord Mayor of London, opened offices in Oporto in 1784 to ship Port wine from the bar of the Douro. In 1810 Smith's son Newman took over and in 1818 were joined in partnership by the Woodhouse brothers, already well established as importers of wine from other regions, and the firm became known by its present name. Smith Woodhouse built a strong clientele for more than a century, but after World War II, in common with other firms, business became increasingly difficult. In 1960 W. & J. Graham bought Smith Woodhouse and then in 1970 the Symington family acquired the firm. Smith Woodhouse owns Madalena Vineyard, which lies along the riverbed of the ‘Torto’, one of the tributaries of the Douro, famous for its top rated production. In fact the Rio Torto is acknowledged as having the highest concentration of top quality vineyards in the Douro. Christopher Smith, a prominent figure in the British wine trade and Member of Parliament, who was later to become Lord Mayor of London, opened offices in Oporto in 1784 to ship Port wine from the Douro area. In 1810 Smith's son Newman took over and in 1818 were joined in partnership by the Woodhouse brothers, already well established as importers of wine from other regions, and the firm became known by its present name. Smith Woodhouse built a steady clientele for more than a century, but after World War II, in common with other firms, business became increasingly difficult. In 1960 W. & J. Graham bought Smith Woodhouse and then in 1970 the Symington family acquired the firm. As a niche name with limited production, Smith Woodhouse is not as well-known as most of its peers but eagerly sought among Port connoisseurs. In major blind tastings of all the Ports declared in Vintage years, critics consistently pick out the Smith Woodhouse as extraordinarily good and extraordinarily good value. Smith Woodhouse owns Madalena Vineyard, which lies along the riverbed of the ‘Torto,’ one of the tributaries of the Douro, famous for its top-rated production. 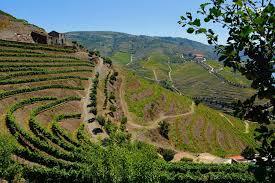 You may acknowledge the Rio Torto as having the highest concentration of top quality vineyards in the Douro. The vineyard is situated on a gentle slope, facing south and southwest, within a curve of the Rio Torto, which runs south from the Douro near Pinhão. A long time they recognize the valley as a source for some of the finest grapes in the Douro, due to its unique microclimate. In the summer months, temperatures at the base of the valley can rise as high as 40ºC in the shade which, in the near windless conditions of this narrow, twisted valley, results in great maturity in the grapes at the time of harvest. They planted a little over half of the Madalena vineyard with a field blend of old, very low-yielding vines that bestow remarkable depth and complexity on the wine. This rare concentration of flavor and sugars is precisely the formula what is required to make great Port.